I was actually looking to recreate a popular lemon bar that’s just too expensive to justify buying often, but I ended up with this winner! 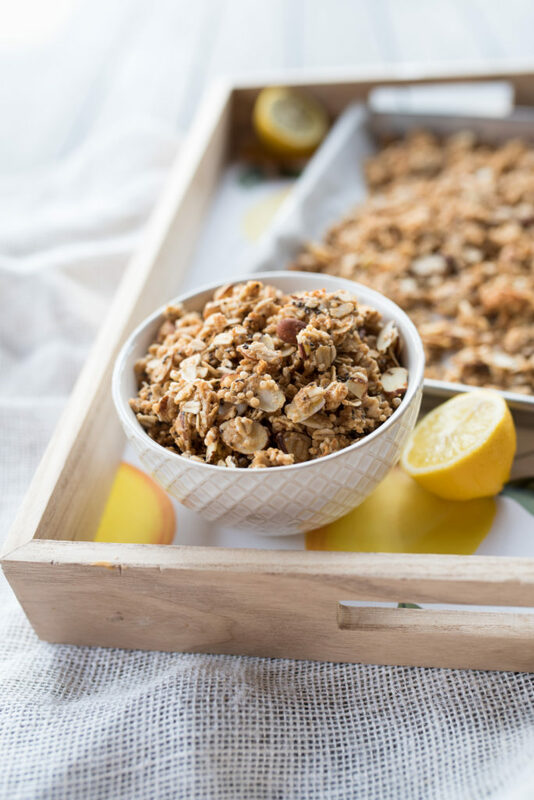 This lemon poppy seed granola is incredibly versatile. 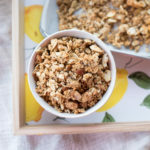 It makes great no-bake granola bars but also toasts up beautifully in the oven and is the perfect topping for granola, fresh fruit and a little honey, or just to munch on by the handful. 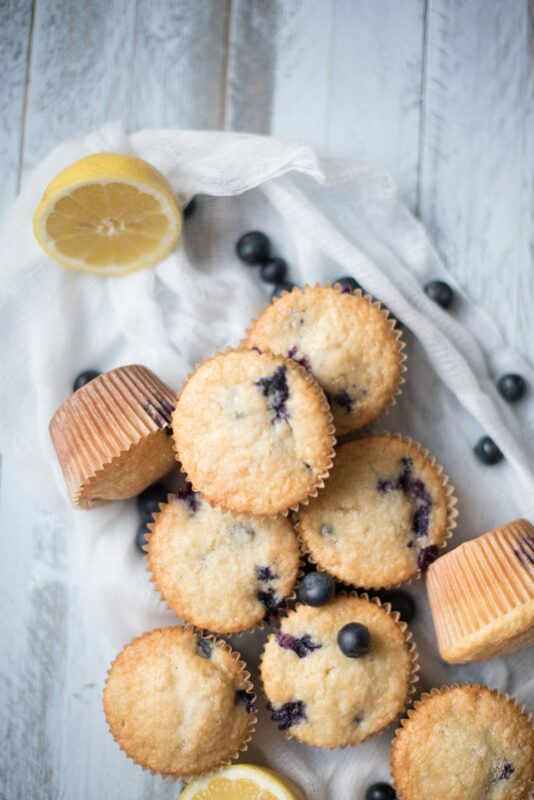 It’s just sweet enough that it doesn’t feel like dessert but more like a little treat. 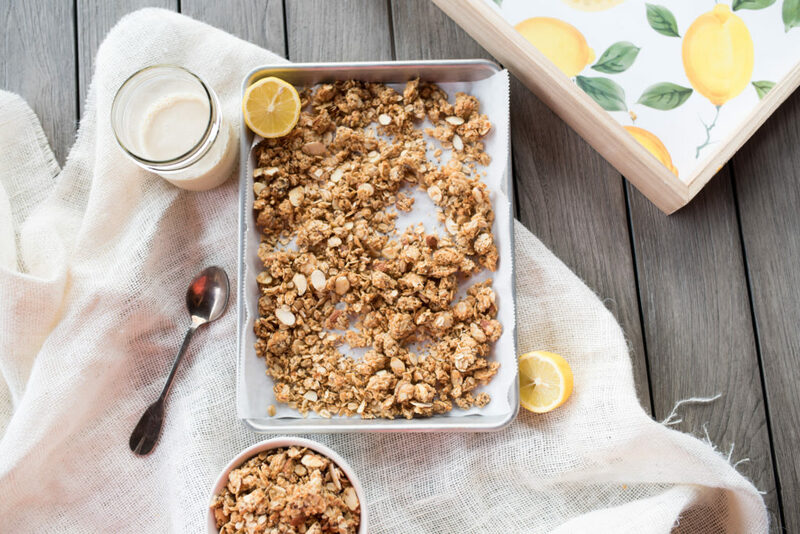 I like to keep homemade granola on hand when I have the time because it’s just so much better than the store bought stuff! You can regulate the sugar and add different mix ins if you want. 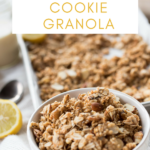 HINT HINT: Next time, I’m tossing in a few dried cranberries or blueberries with this Lemon Chia Seed Granola for a fun mix of sweet and tart! 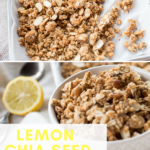 This lemon chia seed granola is a healthier alternative to that jumbo lemon poppy seed muffin you were tempted to buy the other day! 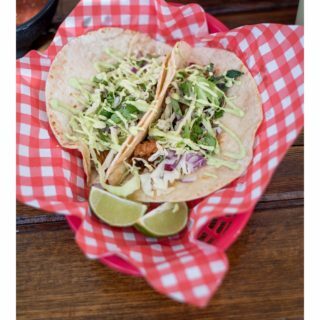 It’s bright, crunchy, a little chewy, and just sweet enough! 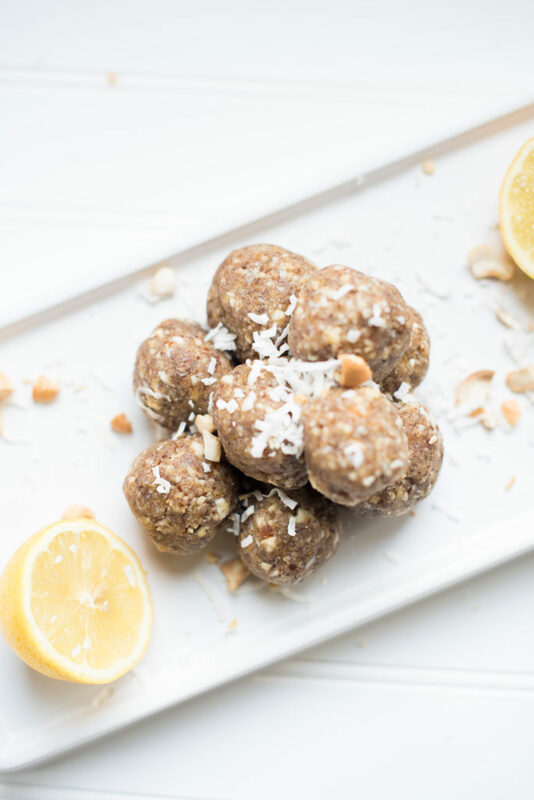 Combine the cashew butter, ghee, and honey in a microwave safe bowl. Microwave for 20-30 seconds or until the mixture is completely melted and smooth. Stir in the lemon extract, vanilla extract, and lemon zest. In a large bowl, combine oats, puffed quinoa, sliced almonds, and chia seeds. 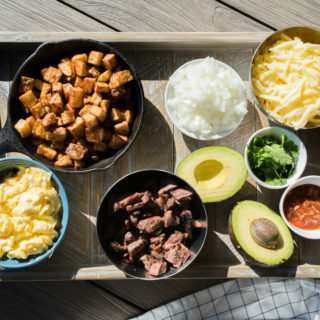 Stir in the melted mixture till all the ingredients are coated well. If making crunchy granola: preheat oven to 375 degrees. 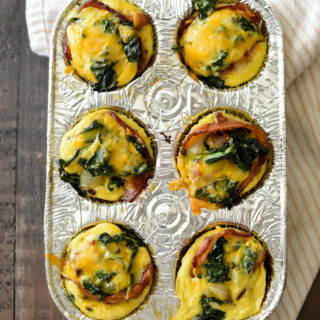 Dump onto a parchment lined baking sheet. Make sure to spread mixture out. Bake for 15-18 minutes; stir occasionally! 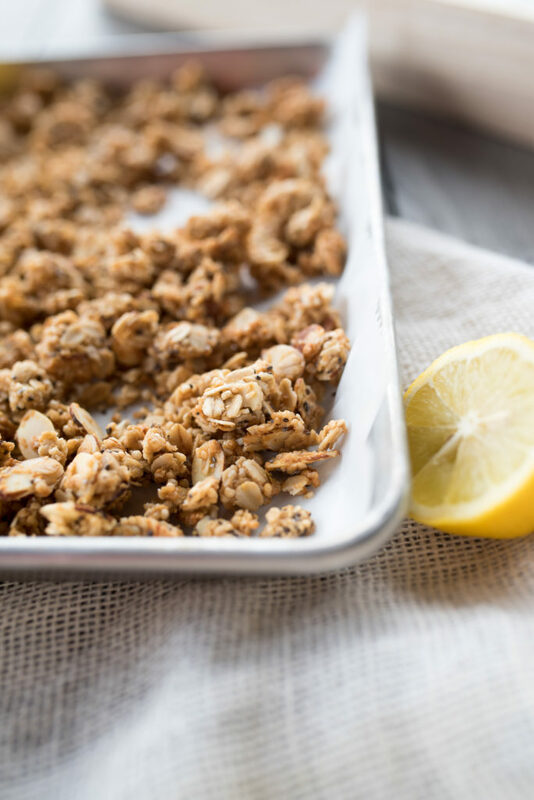 If making no-bake granola bars*: Press the mixture into a parchment lined 8×8 pan. Refrigerate for 3hours+. Slice into 8 bars. 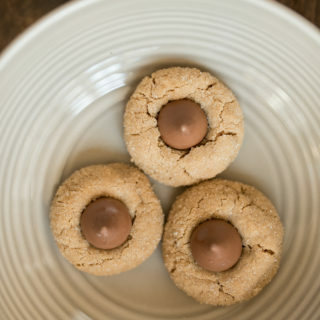 You might need to add an additional 1/4 C of cashew butter to make them hold together a little better. Depends on the brand of cashew butter. 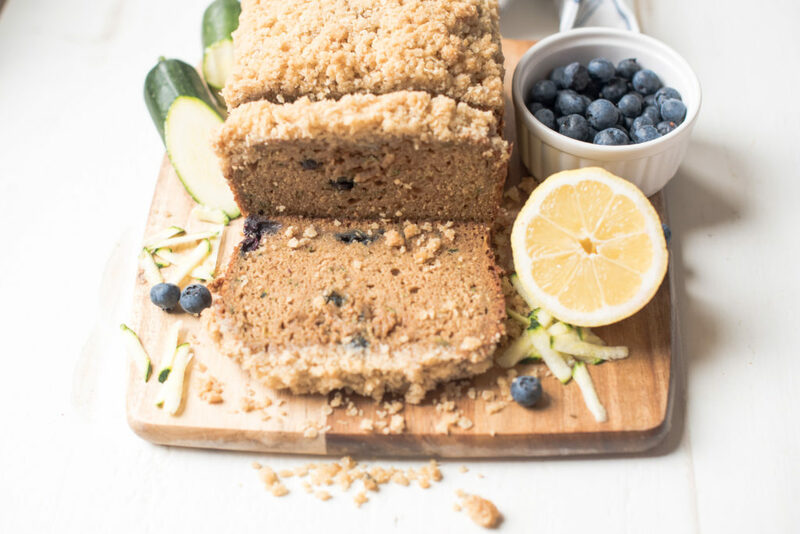 You could add an additional 1 tbsp of honey for more sweetness.